With the emphasis it places on privacy, it should come as little surprise that search engine DuckDuckGo is less than keen on Google. The latest demonstration of this is the company's decision to eschew Google Maps in favor of Apple's MapKit JS framework to power its map-related searches. 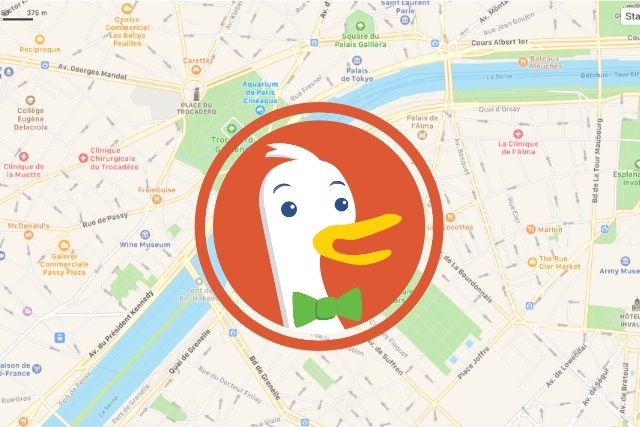 DuckDuckGo says that this brings users a "valuable combination of mapping and privacy", both on the desktop and on mobile. The company says that it is working closely with Apple, and assures users that their privacy will be maintained. When conducting a map-related search -- such as looking up an address, searching for nearby attractions, looking for businesses and locations -- results can be seen either embedded in search results, or on the dedicated Maps tab.